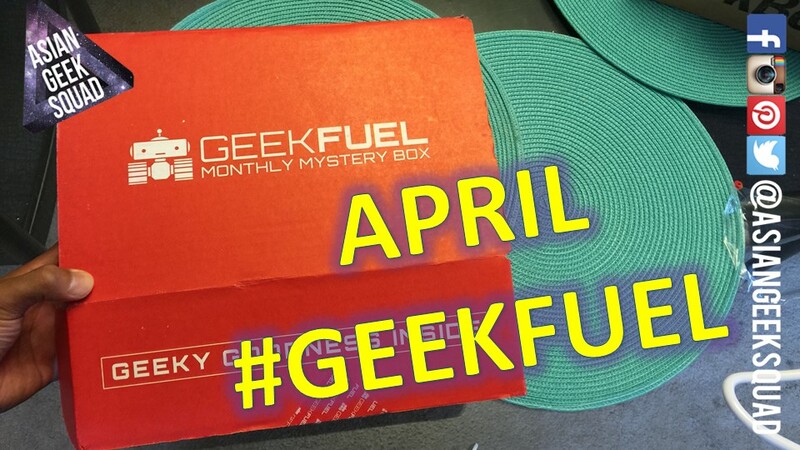 You are at:Home»BUZZ»GeekFuel April Unboxing! If you have a geek in the family and need a present – or if you’re a self-proclaimed geek, you may want to check out GeekFuel! GeekFuel is a monthly box of goodies which arrive to your doorstep, filled with random mysteries, but does include: 1) a t-shirt, 2) a comic and 3) other things! Plans start at $17.90 a month (plus S/H), to $13.90 a month, if you pre-pay for a full year (S/H is not included). Shipping will cost an additional $6 per month, which isn’t bad, considering I received my package quickly! This month, we received tons of goodies! Including a Steam code worth $20, an awesome T-shirt, coasters, a bobble-head, a comic and more! Check out our video for more in-depth look! Click to learn more about GeekFuel! What do you think about GeekFuel? Tweet us @AsianGeekSquad!